Christy L. Saalfeld practices family law and commercial litigation. She was law clerk to the Honorable Edward V. Torack, Superior Court of New Jersey, Bergen County, in 2002-03. Ms. Saalfeld is admitted to practice in New Jersey and New York, and in the United States District Court for the District of New Jersey. She is a member of the New Jersey State Bar Association and is a member of the Barry Croland Family Law Inn of Court. 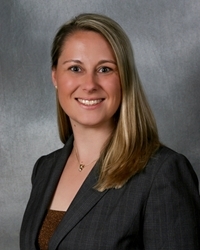 Ms. Saalfeld has been selected for inclusion in New Jersey Super Lawyers Rising Stars for 2007-2014. Law Clerk to: Hon. Edward V. Torack, Superior Court of New Jersey, Bergen County, 2002-2003.